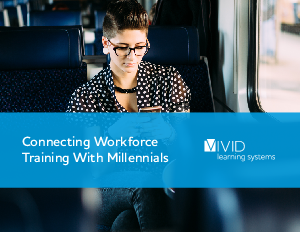 Do you understand what Millennials expect from your safety training program? When all young professionals have ever known are active, scenario-based, case study driven, discussion-fostering learning experiences, they learn best when these approaches are integrated into their training as professionals. Younger workers are at higher risk of occupational injuries due to lack of experience. Employees across all categories are 40% more likely to be injured on the job during the first year of employment. You know that safety training is critical for younger, new hires, and you want to get it right. This guide explains how best to reach this generation of the workforce.